Amazingly effective - get convinced by trying it! KENKO' TAKARA from Japan assists the mind and body well being. 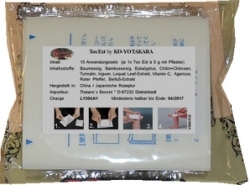 Kenko` Takara is Japanese herbal pads consists of 14 different elements.